I attended Professor Smolin's public lecture last night (April-18) at the Perimeter Institute and found it refreshing when he said (during the Q&A) that although the Copenhagen Interpretation was a crazy idea, that the many-worlds interpretation (which many people were driven to because of problems with the Copenhagen Interpretation) was even crazier. This was the first time I heard someone profess that many of the scientists who created quantum mechanics were not realists [they believed that reality existed only when it was measured]. On the other hand, others like Einstein and Schrödinger were realists who wanted a better explanation. Professor Smolin was signing books in the lobby so I bought one. Yay! how can a cat be in a superposition of both alive and dead until the door is opened? why doesn't anyone ever mention that the cat is an observer? if you ever believed "that a tree that fell in the forest with no one around would not make a noise" then you are from the non-realist camp. How soon we forget that dividing something into three thirds is only possible when we stick to fractions. Professor Smolin is correct when he says that our current understanding of quantum mechanics should be treated in the same was as the Ptolemaic Theory of planetary motion. Good enough for the time but in need of more work. From driverless cars to smart thermostats, from autonomous stock-trading systems to drones equipped with their own behavioral algorithms, the internet now has direct effects on the physical world. While this computerized future, often called the Internet of Things, carries enormous potential, best-selling author Bruce Schneier argues that catastrophe awaits in its new vulnerabilities and dangers. Forget data theft: cutting-edge digital attackers can now literally crash your car, pacemaker, and home security system, as well as everyone else's. In Click Here to Kill Everybody, Schneier explores the risks and security implications of our new, hyper-connected era, and lays out common-sense policies that will allow us to enjoy the benefits of this omnipotent age without falling prey to the consequences of its insecurity. From principles for a more resilient Internet of Things to a recipe for sane government oversight, Schneier's vision is required reading for anyone invested in human flourishing. A contrarian argues that modern physicists' obsession with beauty has given us wonderful math but bad science. p213: There are physicists saying we don't have to test their ideas because they are such good ideas. To my mind that's a step backwards by a thousand years. p213: the public rejection of scientific information regarding things like vaccination, climate change, GMO crops, and nuclear energy shows a public skepticism of science and scientists. Theoretical physics is supposed to be the bedrock, the hardest rock, of the sciences, showing it can be completely trusted. p214: Then, theoretical physicists like Stephen Hawking, Lawrence Krauss and others say that science proves that God doesn't exist, and so on - which no scientific experiment can prove - but it results in a general hostility against science, particularly in the United States. After the public hears scientists discussing unproven (science fiction?) topics like "wormholes" and "the multiverse", the public then assume that other scientific pronouncements like "vaccinations are safe" and "humanity-influenced climate change is real" are also similar scientific speculations. IMHO, just hearing the public misuse the phrase "that's just a theory" is enough evidence to show that we've got a problem. Light of the Stars tells the story of humanity’s coming of age as we awaken to the possibilities of life on other worlds and their sudden relevance to our fate on Earth. Astrophysicist Adam Frank traces the question of alien life and intelligence from the ancient Greeks to the leading thinkers of our own time, and shows how we as a civilization can only hope to survive climate change if we recognize what science has recently discovered: that we are just one of ten billion trillion planets in the Universe, and it’s highly likely that many of those planets hosted technologically advanced alien civilizations. What’s more, each of those civilizations must have faced the same challenge of civilization-driven climate change. Written with great clarity and conviction, Light of the Stars builds on the inspiring work of pioneering scientists such as Frank Drake and Carl Sagan, whose work at the dawn of the space age began building the new science of astrobiology; Jack James, the Texas-born engineer who drove NASA’s first planetary missions to success; Vladimir Vernadsky, the Russian geochemist who first envisioned the Earth’s biosphere; and James Lovelock and Lynn Margulis, who invented Gaia theory. Frank recounts the perilous journey NASA undertook across millions of miles of deep space to get its probes to Venus and Mars, yielding our first view of the cosmic laws of planets and climate that changed our understanding of our place in the universe. If memory serves, I first learned about the Drake Equation in Carl Sagan's book titled Cosmos. This equation came out of the cold war era so many people, including Frank Drake, Carl Sagan, Philip Morrison and others assumed that the equation's 7th and final term labeled "L" would be related to nuclear war. This book by Adam Frank replaces "nuclear war" with "climate change". He argues that even if some extraterrestrial civilizations never developed nuclear weapons, all would eventually grow to a size where the collective actions of their populations would change their climates. Very thought provoking! What a treat. This book's title might make you think that this book is only about Einstein, or his special theory of relativity, but you would be wrong. Chapter-2 is titled "E is for energy"
Chapter-3 is titled "= is for equals"
Chapter-4 is titled "m is for mass"
Chapter-5 is titled "c is for celeritas"
discusses the work of Giovanni Cassini, Jean Picard and Ole Roemer whose experiments measured "the speed of light"
Chapter-6 is titled "2 (for squared)"
everyone reading this will already know the story of Einstein writing a letter to FDR in August of 1939. But this book is the first place I've seen material showing that FDR passed the information onto Lyman J Briggs who saw no urgency at all (and delayed doing anything real for almost two years). Nothing changed in the USA until Mark Oliphant flew to the United States in late August 1941, ostensibly to discuss the radar-development program, but also to find out why the United States was ignoring the findings of the MAUD Committee. Chapter-12 is titled "America's Turn"
This is a landmark in science writing. It resurrects from the vaults of neglect the polymath Jerome Cardano, a Milanese of the sixteenth century. Who is he? A gambler and blasphemer, inventor and chancer, plagued by demons and anxieties, astrologer to kings, emperors and popes. This stubborn and unworldly man was the son of a lawyer and a brothel keeper, but also a gifted physician and the unacknowledged discoverer of the mathematical foundations of quantum physics. That is the argument of this charming and intoxicatingly clever book, which is truly original in its style, and in the manner of the modernists embodies in its very form its theories about the world. The Quantum Astrologer’s Handbook is a science book with the panache of a novel, for readers of Carlo Rovelli or Umberto Eco. It is a work of and about genius. I bought this book just after hearing an interview with the author on the NPR radio program, Science Friday (episode: 2017-04-21) which you can still listen to here ( http://www.sciencefriday.com/segments/bringing-rigor-back-to-health-research/ ). Do not let the subtitle deceive you, this is not a book advocating increases or decreases in government funding. Rather, it advocates experimental researchers doing a better job with the money they already have. This was the first time I heard the phrase "Eroom's Law" which is derived from Moore's Law with the first word spelt backwards. According to interviews by the author, if changes are not forthcoming then humanity can expect no new pharmaceutical treatments after the year 2040. As Bard of the Universe, physicist Lawrence Krauss may be uniquely qualified to give us the Greatest Story Ever Told — a masterful blend of history, modern physics, and cosmic perspective that empowers the reader to not only embrace our understanding of the universe, but also revel in what remains to be discovered. Excerpt from chapter-1 (From the Armoire to the Cave): When scientific claims are presented as unquestionable, they undermine science. Similarly, when religious actions or claims about sanctity can be made with impunity in our society, we undermine the basis of modern secular democracy. We owe it to our selves and our children not to give a free pass to governments — totalitarian, theocratic, or democratic — that endorse, encourage, enforce, or otherwise legitimize the suppression of open questioning in order to protect ideas that are considered 'sacred'. Five hundred years of science have liberated humanity from the shackles of enforced ignorance. I just bought this paperback book for $1.00 from a used book store. What a treat. It is a collection of 17 science articles published elsewhere. You can still buy a paper copy online ( www.bookfinder.com ) or download this free PDF. Last night I attended a lecture given by the author at the Perimeter Institute for Theoretical Physics. The audience was captivated. This book humorously shows that scientific progress does not move in a straight line. Each one of the five scientists covered (Charles Darwin, William Thompson (a.k.a. Lord Kelvin), Linus Pauling, Fred Hoyle, and Albert Einstein) published errors after their initial huge contribution to science. quote from page 128: In the Cold War atmosphere that followed World War II, and in particular after the passage of the Internal Security Act of 1950, the US State Department's Passport Division was given almost unlimited authority to deny passports to anyone deemed to be too "leftist". Pauling applied to renew his passport in January 1952, as he was preparing to attend a Royal Society meeting in London the following May ... his passport could not be issued since the department was of the opinion that his travel "would not be in the best interests of the United States"
THE MODERN WORLD, our world of triumphant rationality, began on November 10, 1619, with a revelation and a nightmare. On that day, in the small Bavarian village of Ulm, René Descartes, a Frenchman, twenty- three years old, crawled into a wall stove and, when he was well warmed, had a vision. It was not a vision of God, or the Mother of God, or of celestial chariots, or of the New Jerusalem. It was a vision of the unification of all science. The vision was preceded by a state of intense concentration and agitation. Descartes' overheated mind caught fire and provided answers to tremendous problems that had been taxing him for weeks. He was possessed by a Genius, and the answers were revealed in a dazzling, unendurable light. Later, in a state of exhaustion, he went to bed and dreamed three dreams that had been predicted by his Genius. LET US TAKE, a quick measurement of the march that mathematics has taken in the four centuries since Descartes' dream. To do this we must have some notion of its extent in Descartes' own day. In business, the arithmetic of buying and selling had long been in place, as had that of loans and interest. Marine insurance policies have roots antiquity and were well and were well established by the 15th Century. Casualty and life insurance were coming in strongly in Descartes' lifetime. Lotteries and gambling were were an old story, though their deeper theory was just evolving. In astronomy, the calendar as we know it today was in place, with the exception of several slight corrections. Purely arithmetical methods for calculating the positions of the moon and the planets had been known since antiquity. The work of Ptolemy of Alexandria in the 2nd Century A.D. brought calculated astronomy to a high peak. The geometric schematization of Copernicus and the subsequent studies of Kepler, Tycho Brahe and Galileo would soon lead to the revolutionary work of Isaac Newton wherein, with the development of the calculus, mechanics and planetary motion would be reduced to systems of differential equations. read this book if you want to know "where humanity has come from (mathematically speaking)" and "where we are going"
quote from page 129 (paraphrased): "It is interesting to contemplate where the computing field will be if the hardware reaches a plateau of development as it did, for example, the steam engine"
quote from page 157 (paraphrased): "If is is true that space flight is impossible without computers, it is equally true that the machines could not have been set number-crunching without the efforts of Ptolemy, Brahe, Kepler, Galileo and Newton"
starting with page 168, there is much talk about the dominant computer languages: FORTRAN, COBOL, PL/1, Ada, APL, Pascal and Assembler. Excerpt from page 3: Described by his contemporaries as the most famous man in the world after Napoleon, Alexander Humboldt was one of the most captivating and inspiring men of his time. Born in 1769 into a wealthy Prussian aristocratic family, he discarded a life of privilege to discover for himself how the world worked. As a young man he set out on a five year exploration to Latin America, risking his life many times and returning with a new sense of the world. It was a journey that shaped his life and thinking, and that made him legendary across the globe. He lived in cities such as Paris and Berlin, but was equally at home on the most remote branches of the Orinoco River or in the Kazakh Steppe at Russia's Mongolian border. During much of his long life, he was the nexus of the scientific world, writing some 50,000 letters and receiving at least double that number. Knowledge, Humboldt believed, had to be shared, exchanged and made available to everybody. Excerpt from page 4: Charles Darwin wrote that 'nothing ever stimulated my zeal so much as reading Humboldt's Personal Narrative' saying that he would not have boarded the Beagle, nor conceived of the Origin of Species, without Humboldt. I purchased this book last month in the foyer of the Perimeter Institute of Physics (in Waterloo, Ontario, Canada) after the author's lecture. On first glance it appeared to be just another general book on science with emphasis on particle physics, but for me turned out to be much more. I have (I think) a reasonable "layman's understanding" of colliers and quantum mechanics but this book added to my knowledge by delivering numerous anecdotes (here I am using that word to mean "depicting small narrative incidents") which would only be possible from an author with first-hand experience of particle physics in general and the LHC in particular. As the author says himself, "this is not a textbook" but he has not been shy in placing a tiny amount of maths in the subscripts at the bottom of each page for the science nerds who want a little more information. Many people might wish to read this book just to learn why scientific research is so important. Jon Butterworth is, after all, an educator as well as experimentalist. The author's presentation reminded me of other "great explainers in science" like Carl Sagan. He also showed slides of CERN's FCC (future circular collider) which is a working name for EuroCirCol H2020 project. Explore here: https://fcc.web.cern.ch and here: https://fcc.web.cern.ch/Pages/About.aspx (diagram showing FCC being 80-100km long which is 3-3.5 times longer than the LHC). a teaser from page 116: "In other words, a proton contains gluons, but it also contains many more than three quarks, and lots of anti-quarks too. But if you cancel every antiquark off against every quark, you are still left with a net total of three quarks"
If you watch the video above, be sure to watch the question asked in the Q+A at time marker 1:01:35 which states "explain how a neutron can contain a top-quark that has more mass than a neutron as a whole?" This book is much more than a defense of Evolution. It's a well-written and entertaining showcase of what makes nature so fascinating. I recommend it for creationists, for those who understand evolution, and for those who simply enjoy a good read. The battles over evolution, climate change, childhood vaccinations, and the causes of AIDS, alternative medicine, oil shortages, population growth, and the place of science in our country—all are reaching a fevered pitch. Many people and institutions have exerted enormous efforts to misrepresent or flatly deny demonstrable scientific reality to protect their nonscientific ideology, their power, or their bottom line. To shed light on this darkness, Donald R. Prothero explains the scientific process and why society has come to rely on science not only to provide a better life but also to reach verifiable truths no other method can obtain. He describes how major scientific ideas that are accepted by the entire scientific community (evolution, anthropogenic global warming, vaccination, the HIV cause of AIDS, and others) have been attacked with totally unscientific arguments and methods. Prothero argues that science deniers pose a serious threat to society, as their attempts to subvert the truth have resulted in widespread scientific ignorance, increased risk of global catastrophes, and deaths due to the spread of diseases that could have been prevented. quote from page 13: The next time you hear a modern Luddite -- from a creationist who rejects all modern astronomy, biology, and geology, to the faith healer or homeopath or other quack who rejects modern medicine -- just ask yourself one thing: Would you want to go back to the world of the late eighteenth century with its high death rates and short life expectancy, suffer exposure to many deadly diseases, and live in a world with limited education and poverty? This is the choice they are offering you -- even as those same creationists and other Luddites benefit from modern medicine, and even exploit modern technologies like the internet to push their antiscientific causes. As Michael Shermer put it, science and critical thinking are "the most precious things we have". paraphrased from page 34: just a few individuals (Fred Seitz, Fred Singer, William Nierenberg, Robert Jastrow, Edward Teller, and a handful more) were at the front of attempts to deny reality (denying the science of: the dangers of smoking tobacco, secondhand smoke, nuclear winter, ozone hole, DDT, acid rain, anthropogenic global warming). Most of these men gained their reputations as nuclear physicists, and some actually built the first atomic bomb. After the Cold War ended there was no more Commie bogeyman to fear, they retained the Cold War mentality that anything threatening capitalism and free enterprise is bad -- even if the scientific case for it is overwhelming. Never mind that a background in nuclear physics gives one absolutely no qualifications whatsoever to evaluate studies in medicine or climate science. These few men have done more to harm the country and stunt the the dissemination of scientific research than any Soviet threat ever could have accomplished. quote from page 208: Yet this scientific rejection of astrology has had relatively little impact on the general public, thanks to the general scientific illiteracy of the American people. The first half of this book focuses upon the Bethe Family along with their friends and colleagues in Europe. The second half of this book focuses upon the contributions of many people, including Hans Bethe, to developments in quantum mechanics resulting in stellar nucleosynthesis. In some ways, this book is similar to Turing's Cathedral: The Origins Of The Digital Universe in that it describes a veritable golden age in scientific research. Hans Bethe's father was Albrecht Bethe (professor and director of the Institute of Physiology at the University of Kiel beginning in 1912 then later became head of the new Institute of Physiology at the University of Frankfurt am Main in 1915). This means that much has been written about this family as well as the people coming into contract with them. This book, then, also provides a good glimpse of how anti-Semitism -and- conservative politics slowly destroyed European culture eventually driving out many of Europe's brightest people before the insanity of war inflected the final blow. Page 232 references a 1918 speech titled "Science as a Vocation" given by Max Weber to students of Munich University given shortly before the end of WW1. Quote: Weber also wanted to convey to his audience his belief that the antiscience and antischolarship temper that was prevalent in a very large segment of the defeated German population was symptomatic of "the cultural and political crisis facing modern Western civilization"
What I find odd (and chilling) is that I hear similar anti-science sentiments almost every day coming from both the United States and Canada. These views do not appear to be greater than 50% (although the number appears to be increasing) but it does seem to me that people are already making choices where "political opinion" trumps "scientific evidence". I wonder if the west's recent infatuation with conservatism (starting with Thatcher and Regan) is an echo from an uglier time. Pages 226-229 provide a glimpse of how the Nazi Civil Service Law of 1933 (which forbade any non-Aryan from holding any state or federal position) affected the scientific community. Page 278 mentions the lesser known "Nazi intolerance of women in academia" making it difficult, if not impossible, for women in Germany (or Nazi influenced Europe) to have a career in science. Whatever Max Weber thought about "progress", this wasn't it. I think this quote from David Hilbert sums up the proper progressive view: When Emmy Noether’s appointment to the University of Göttingen was being blocked by stubborn faculty members, one of them complained to Hilbert that the students would resent learning “at the feet of a woman.” Hilbert replied that it should not matter. "We are a university, not a bath-house." The ongoing assault on climate science in the United States has never been more aggressive, more blatant, or more widely publicized than in the case of the Hockey Stick graph -- a clear and compelling visual presentation of scientific data, put together by Michael E. Mann and his colleagues, demonstrating that global temperatures have risen in conjunction with the increase in industrialization and the use of fossil fuels. Here was an easy-to-understand graph that, in a glance, posed a threat to major corporate energy interests and those who do their political bidding. The stakes were simply too high to ignore the Hockey Stick -- and so began a relentless attack on a body of science and on the investigators whose work formed its scientific basis. The Hockey Stick achieved prominence in a 2001 UN report on climate change and quickly became a central icon in the "climate wars." The real issue has never been the graph's data but rather its implied threat to those who oppose governmental regulation and other restraints to protect the environment and planet. Mann, lead author of the original paper in which the Hockey Stick first appeared, shares the story of the science and politics behind this controversy. He reveals key figures in the oil and energy industries and the media front groups who do their bidding in sometimes slick, sometimes bare-knuckled ways. Mann concludes with the real story of the 2009 "Climategate" scandal, in which climate scientists' emails were hacked. This is essential reading for all who care about our planet's health an dour own well-being. quote from page 254: I can continue to live with the cynical assaults against my integrity and character by the corporate-funded denial machine. What I could not live with is knowing that I stood by silently as my fellow human beings, confused and misled by industry-funded propaganda, were unwittingly lead down a tragic path that would mortgage future generations. How could we explain to our grandchildren that we saw the threat coming, but did not do all we could to ensure that humankind took the necessary precautions. My parents were conservative Lutherans who refused to accept evolution primarily due to the fact that they possessed no scientific education whatsoever, and their church told them not to (you do not need to give up your belief in God to accept the evidence of Darwin's Theory). While reading this unexpected gem, I kept thinking "I wish my parents were still alive so they could read this lucid explanation of evolution (in chapter one)". Although not a book targeted toward young adults, I would have no problem gifting this book to pre-teenagers about to enter secondary school. What an unexpected surprise. A wake-up-call from 1991 which was ignored by almost everyone. Modern science is under the greatest and most successful attack in recent history. An industry of denial, abetted by news media and "infotainment" broadcasters more interested in selling controversy than presenting facts, has duped half the American public into rejecting the facts of climate science -- an overwhelming body of rigorously vetted scientific evidence showing that human-caused, carbon-based emissions are linked to warming the Earth. The industry of climate science denial is succeeding: public acceptance has declined even as the scientific evidence for global warming has increased. It is vital that the public understand how anti-science ideologues, pseudo-scientists, and non-scientists have bamboozled them. We cannot afford to get global warming wrong -- yet we are, thanks to deniers and their methods. The Inquisition of Climate Science is the first book to comprehensively take on the climate science denial movement and the deniers themselves, exposing their lack of credentials, their extensive industry funding, and their failure to provide any alternative theory to explain the observed evidence of warming. In this book, readers meet the most prominent deniers while dissecting their credentials, arguments, and lack of objectivity. James Lawrence Powell shows that the deniers use a wide variety of deceptive rhetorical techniques, many stretching back to ancient Greece. Carefully researched, fully referenced, and compellingly written, his book clearly reveals that the evidence of global warming is real and that an industry of denial has deceived the American public, putting them and their grandchildren at risk. quote from page 46: By now, the conservative administration of U.S. President Ronald Reagan had begun to worry that action to reduce carbon-dioxide emissions could hurt the American economy. [snip] Growing alarm over carbon dioxide emissions from burning fossil fuels might lead to a Montreal-like protocol to reduce carbon emissions, allegedly crippling the economy -- and on Regan's pro-business watch. To have scientists meeting where they liked, saying whatever they pleased, issuing disquieting statements, could force the government to respond. The solution was to create a new, international scientific body and endure that government representatives vetted it reports. The U.S. signed off on a proposal from the United Nations to create an overarching climate advisory committee called the Intergovernmental Panel on Climate Change (IPCC), mandated to "provide the decision makers and others interested in climate change with an objective source of information". Governments would appoint their own scientists to the panel. Diplomats and government bureaucrats form scores of nations would oversee the scientists' work and edit their reports. The structure guaranteed that the IPCC reports would neither appear too rapidly nor overdramatize the extent of global warming. From the get-go, by design, the IPCC was a conservative organization predestined for understatement. quote from page 136: Oceans, land plants and animals emit about 780 gigatons of carbon annually, and absorb nearly all of it. Human activities emit 29 gigatons of carbon per year but absorb almost none of it (so it ends up in the atmosphere). prior to the 1990s, Soviet peoples wasted much bandwidth labeling everything as either "bourgeois this" or "proletariat that" and I thought it made them sound ridiculous. Since the 1990s, Americans seem to be unable to discuss anything without including labels liberal or conservative. I wonder why this ideological shift has gone unnoticed? From one of Time magazine's 100 most influential people in the world, a rousing defense of the role of science in our lives The latest developments in physics have the potential to radically revise our understanding of the world: its makeup, its evolution, and the fundamental forces that drive its operation. Knocking on Heaven's Door is an exhilarating and accessible overview of these developments and an impassioned argument for the significance of science. Quantum theory is weird. As Niels Bohr said, if you aren't shocked by quantum theory, you don't really understand it. For most people, quantum theory is synonymous with mysterious, impenetrable science. And in fact for many years it was equally baffling for scientists themselves. In this tour de force of science history, Manjit Kumar gives a dramatic and superbly written account of this fundamental scientific revolution, focusing on the central conflict between Einstein and Bohr over the nature of reality and the soul of science. This revelatory book takes a close look at the golden age of physics, the brilliant young minds at its core, and how an idea ignited the greatest intellectual debate of the twentieth century. Physicist Richard Feynman has a reputation as a bongo-playing, hard-partying, flamboyant Nobel Prize laureate for his work on quantum electrodynamics theory, but this tends to obscure the fact that he was a brilliant thinker who continued making contributions to science until his death in 1988. He foresaw new directions in science that have begun to produce practical applications only in the last decade: nanotechnology, atomic-scale biology like the manipulation of DNA, lasers to move individual atoms, and quantum engineering. In the 1960s, Feynman entered the field of quantum gravity and created important tools and techniques for scientists studying black holes and gravity waves. Author Krauss (The Physics of Star Trek), an MIT-trained physicist, doesn't necessarily break new ground in this biography, but Krauss excels in his ability, like Feynman himself, to make complicated physics comprehensible. He incorporates Feynman's lectures and quotes several of the late physicist's colleagues to aid him in this process. This book is highly recommended for readers who want to get to know one of the preeminent scientists of the 20th century. Today it appears that religious, political, and economic extremists are actually cultivating ignorance. For this reason, I hope that this 7-minute video will help end the madness. What a pleasure to reread. I didn't encounter any errors but found the description of "Neutron Decay" in "Science, Numbers and I" a little anachronistic since there was no mention of a down quark turning into an up quark. However, that level of detail was probably beyond the scope of a popular science book at that time. The third book titled "Please Explain" does contain three short essays involving quarks. some readers may wonder why Professor Zeilinger employed the fiction of "two junior experimenters discussing their measurements with academics who then dragged them through the thought processes of the original quantum scientists". I attended one of Professor Zeilinger's public lectures (in 2005 at PI in Waterloo, Ontario, Canada) and I remember him telling us that the English word "entanglement" poorly approximates to the German word "Verschronkung" coined by Erwin Schrödinger. An entertaining memoir about the peculiar and competitive world of modern physics. John W. Moffat was a poor student of math and science. That is, until as a young man in the early 1950s in Copenhagen he read Einstein's famous paper on general relativity and Einstein's current work seeking a unified theory of gravity and electromagnetism. 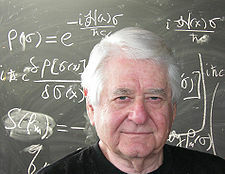 Realizing that he had an unusual and unexplained aptitude for understanding complex physics and mathematics, Moffat wrote two papers based on Einstein's unified field theory. Soon, he found himself being interviewed by Denmark's most famous physicist, Niels Bohr, and giving a seminar on unified theory at the Niels Bohr Institute. When he faced derision and criticism of Einstein's current research by the audience of physicists at the Bohr Institute, Moffat went home and wrote a letter to Einstein that would change the course of his life. Einstein replied to Moffat and they exchanged a series of letters in which they discussed both technical matters relating to the scientific papers and their views on the current state of physics. This correspondence led to Moffat being interviewed by influential physicists in Britain and Ireland, including Erwin Schrödinger. Their recommendations resulted in Moffat being enrolled in the PhD physics program at Trinity College, Cambridge, the first student in the College's 400-year history to be enrolled without an undergraduate degree. Moffat and Einstein did not continue their correspondence, as the great man died shortly after Moffat began his studies. However, Moffat continued, over the next fifty years, to modify and expand on Einstein's theory of gravity. Einstein Wrote Back tells the story of Moffat's unusual entry into the world of academia and documents his career at the frontlines of twentieth-century physics as he worked and studied under some of the greatest minds in scientific history, including Niels Bohr, Fred Hoyle, Wolfgang Pauli, Paul Dirac, Erwin Schrödinger, J. Robert Oppenheimer, Abdus Salam, among others. Taking readers inside the classrooms and minds of these "giants" of modern science, Moffat affectionately exposes the foibles and eccentricities of these great men, as they worked on the revolutionary ideas that, today, are the very foundation of modern physics and cosmology. Oreskes and Conway tell an important story about the misuse of science to mislead the public on matters ranging from the risks of smoking to the reality of global warming. The people the authors accuse in this carefully documented book are themselves scientists—mostly physicists, former cold warriors who now serve a conservative agenda, and vested interests like the tobacco industry. The authors name these scientists—all with powerful connections in government and the media—including Robert Jastrow, Frederick Seitz, and S. Fred Singer. Seven compelling chapters detail seven issues (acid rain, the dangers of smoking and second-hand smoke, the ozone hole, global warming, the Strategic Defense Initiative, and the banning of DDT) in which this group aimed to sow seeds of public doubt on matters of settled science. They did so by casting aspersions on the science and the scientists who produce it. Oreskes, a professor of history and science studies at UC–San Diego, and science writer Conway also emphasize how journalists and Internet bloggers uncritically repeat these charges. This book deserves serious attention for the lessons it provides about the misuse of science for political and commercial ends. https://www.youtube.com/watch?v=2T4UF_Rmlio <--- 58 minute video lecture by Naomi Oreskes Ph.D.
wonder why "peer-reviewed scientists" are attacked by "non-peer-reviewed scientists working for big tobacco, big pharma, the fossil fuel industry, as well as political and economic think tanks"
wondered how conservative politics shifted from "conserving the environment" to "conserving big money"
Conservative presidents from Theodore Roosevelt through to Richard Nixon equated some part of their administration to also conserving air, land, and water. Richard Nixon's administration created: The EPA (Environmental Protection Agency), "The Clean Air Act", "The Clean Water Act", "Banned DDT", etc. Conservative presidents starting with Ronald Regan (stating: "government was in the way") openly attacked government organizations like the EPA while turning a blind eye to the actions of big business. Then people of a similar political mind-set label environmentalists as left-wing liberals, tree-huggers, and enviro-nazis. After this, the Bush-Cheney administration had no problem opening "protected wilderness" to oil and mining companies. wondered why some people have such faith in the "unfettered free market". Can anyone give me one example where pollution control targets were ever adhered to without government legislation? wondered if the "science denial movement" (which was started by conservative scientists working for "big tobacco") might have been amplified by that other large faction of conservatives, namely "the religious right". People, no amount of prayer will ever be as effective as the polio vaccine. I have read almost every popular publication by Dawkins and can tell you that this is his best work yet. I liked it so much that I immediately read it a second time. If the history-deniers who doubt the fact of evolution are ignorant of biology, those who think the world began less than ten thousand years ago are worse than ignorant, they are deluded to the point of perversity. They are denying not only the facts of biology but those of physics, geology, cosmology, archaeology, history and chemistry as well. This chapter is about how we know the ages of rocks and the fossils embedded in them. It presents the evidence that the timescale on which life has operated on this planet is measured not in thousands of years but in thousands of millions of years. pages 91-107 contain a superb explanation of "radioactive clocks" including Carbon-14 (half-life: 5,730 years), Potassium-40 (half-life: 1.260 billion years), as well as eight others. By the way, these clock prove the Earth is 4.6 billion years old. Chapter 5 ("Before Our Very Eyes") contains a detailed explanation of a stunning experiment done by Richard Lenski and his colleagues at Michigan State University. In the experiment, 12-isolated colonies of e-coli are encouraged to grow beyond the their food resources every day (inducing a competitive pressure) over a 20-year period and are seen to evolve. the phrase "succeeding beat" is curious. Did Galileo (who was also a musician) really employ a water timer or did he use cat gut to produce a click or beat? If he used cat gut, then wouldn't this source of friction skew the numbers? Interlude: Does Science Destroy Beauty? Although most people can recite Einstein's famous little equation, even if we don't know quite what it means, who has heard of the 18th-century mathematician Leonhard Euler, let alone know anything at all about his famous equation? Crease, a Stony Brook philosophy professor and popular science writer, has already taken on the ten most beautiful experiments in science in The Prism and the Pendulum, and in this enjoyable book he explores 10 rather beautiful equations. He begins with the beguiling simplicity of the equation that bears Pythagoras' name (although he says the Greek wasn't the first to discover it) and moves on to Newton's second law of motion and law of universal gravitation, the second law of thermodynamics, Maxwell's celebrated equations, discoveries by Einstein and Schrödinger and, finally, Heisenberg's famous uncertainty principle. Crease explains the significance of each of these formulas for science and, in brief interludes between chapters, explores the journeys these scientists took from ignorance to knowledge, and the social lives of their theories—their impact on the larger culture. Any reader who aspires to be scientifically literate will find this a good starting place. I purchased this book with the intention of only reading Chapter 6 (James Clerk Maxwell) but am now reading the whole thing because of the high signal-to-noise ratio. Newton's Second Law of Motion (1666). Newton's Universal Gravitation Law (1666). The Second Law of Thermodynamics (1840's - 1850's). Einstein's General Theory of Relativity (1915). Caveat: page 99 of the hardcover edition describes equation "y=2^x" but the shows a graph for equation "y=x^2". I just checked the soft cover edition which contains the correct graph. That said, this is still a highly recommended book. This book The Discovery of Global Warming is a true gem containing no-nonsense facts. Excerpt: In 1973, Nicholas (Nick) Shackleton nailed it all down for certain. What made it possible was the new magnetic-reversal dates established by radioactive potassium, plus Shackleton's uncommon combination of technical expertise in different fields. A splendid deep-sea core had been pulled — "one of the best and most complete records of the entire Pleistocene that is known" — the famous core Vema 28-238 (named after the Lamont Observatory's oceanographic research vessel, a converted luxury yacht). It reached back over a million years, and included the most recent reversal of the Earth's magnetic field, which geologists dated at a bit over 700,000 years ago. This calibrated the chronology for the entire core. As a further benefit, Shackleton managed to extract and analyze the rare foraminifera that lived in the deep sea, and which reflected basic oceanic changes independent of the fluctuating sea-surface temperatures. The deep-sea forams showed the same isotopic variations as surface ones, confirming that the variations gave a record of the withdrawal of water to form ice sheets. When Shackleton showed his graph of long-term change to a roomful of climate scientists, a spontaneous cheer went up. The core Vema 28-238 and a few others contained such a long run of consistent data that it was possible to analyze the numbers with a mathematically sophisticated "frequency-domain" calculation, a well-established technique for picking out the lengths of cycles in a set of data. Detailed measurements and numerical calculations found a set of favored frequencies, a spectrum of regular cycles visible amid the noise of random fluctuations. The first unimpeachable results (well, almost unimpeachable) were achieved in 1976 by James Hays, John Imbrie and Shackleton. The trio not only analyzed the oxygen-isotope record in selected cores from the Indian Ocean, but checked their curves against temperatures deduced from the assemblage of foraminifera species found in each layer. The long cores proved beyond doubt what Emiliani had stoutly maintained — there had been not four major ice ages, but dozens. The analysis showed cycles with lengths roughly 20,000 and 40,000 years, and especially the very strong cycle around 100,000 years, all in agreement with Milankovitch calculations. Extrapolating the curves ahead, the group predicted cooling for the next 15,000 years. As Emiliani, Kukla, and other specialists had already concluded several years earlier, the Earth was gradually — indeed, perhaps quite soon as geologists reckoned time — heading into a new ice age. These results, like so many in paleoclimatology, were promptly called into question. For one thing, there was no solid reason to suppose that our current interglacial period would be of average length and was therefore nearing its end. (And in fact, as noted below, improved orbital calculations and paleoclimate data would eventually show that the natural end of the current interglacial is tens of thousands of years away.) But the main results withstood all criticism. Confirmation came from other scientists who likewise found cycles near twenty and forty thousand years, give or take a few thousand. The most impressive analysis remained the pioneering work of Hays, Imbrie, and Shackleton. They could even split the 15,000 year cycle into a close pair of cycles with lengths of 19,000 and 23,000 years — exactly what the best new astronomical calculations predicted. By the late 1970s, most scientists were convinced that orbital variations acted as a "pacemaker" to set the timing of ice ages. Science magazine reported in 1978 that the evidence for the Milankovitch theory was now "convincing," and the theory "has recently gained widespread acceptance as a factor" in climate change. A history of experimental particle physics (particle accelerators to colliders) from Ernest Rutherford to the LHC (Large Hadron Collider). This book also contains some shocking information about how and why the SSC (Superconducting Super Collider) was shut down after $2 billion was already spent and 13 miles of tunnel was already dug. very highly recommended for people wanting more details about Darwin, and the times in which he lived. this 4-disc package from CBC Audio is a bargain at $40. I recently listened to it a second time and was shocked by the amount of stuff I missed (or forgot). Perhaps I will listen to it every February as a memorial to Darwin's birth. Darwin experienced an earthquake in Chile and so immediately accepted the principle of Lyle's book that the Earth keeps changing. E=mc2 was known before Einstein's five papers of 1905. What an unexpected surprise. Not only does this book include a biography of James Lovelock along with a description of his Gaia Hypothesis, it also includes a general history of the physics and chemistry of atmospheric and geological sciences which starts in the 1700s with the work of Jean Fourier (heat) and Joseph Black (discoverer if Carbon Dioxide which was then known as "fixed air"). Maybe it is only because I am a science fan but I couldn't put this book down. It is highly recommended to the general reader wishing to learn more about climate change. Howard Burton was a freshly-minted physics PhD from the University of Waterloo when a random job query resulted in a meeting with Research-in-Motion founder and co-CEO Mike Lazaridis. Mike had a crazy idea: he wanted to fund a state-of-the-art science research facility and bring in the most innovative scientists from around the world. Its mission? To study and probe the most complex, intriguing and fundamental problems of science. Mike was ready to commit $100 million of his own money to get it started. But that wasn’t his only crazy idea. He wanted Howard to run it. First Principles is part-biography and part lively rumination on the world—and the world of science in particular—by the engaging physicist and former director of the prestigious Perimeter Institute in Waterloo, Ontario. Since its founding in 1999, the Institute has received more than $125 million in government grants, not including the eye-popping sum of $150 million that Mike Lazaridis has donated from his own personal fortune. Although the current warming trend began with the industrial revolution, it really ramps with global industrialization after World War 2. During this time industrialization of farms enables human population to grow from 2 billion (in 1927) to 6 billion (by 1999) with a projected value of 7 billion by 2012. Since oceans are colder than land, global temperature averages can be very misleading. For example, an average temperature increase of 1.3°C would translate into 2°C over land and 4-5°C over the polar regions. the Tibetan plateau feeds 6 rivers running through India, Pakistan, and China. What will happen when these people can't feed themselves? Rivers feeding California will eventually run dry in the summertime. Chapter 7 contains shocking information from paleontologists like Peter Ward. It appears that four out of five mass extinctions were due to climate change (one was due to an asteroid strike 65 million years ago). This book is a delightful read which begins with a short overview of physics from Galileo and Newton through to Einstein. It explains how scientists struggle with their models while new data is introduced from various sciences including: electromagnetic waves, gravity, quantum mechanics, nuclear energy, and string theory. Sometimes gaps in our knowledge were attributed to things like "ether" and the author thinks that we've made the same thing by inventing "Dark Energy", etc. Caveat: This book covers Clarke's life from 1917 up to 1991 but every true fan knows that he died in 2008 and published many books between 1992 and 2008. 3001: The Final Odyssey is just one example. Rumor has it that there are a few more books waiting to be published. I was shocked to learn about the Heinlein initiated feud with Clarke which was apparently started after Clarke publicly criticized Ronald Regan's SDI (Strategic Defense Initiative) commonly known as Star Wars. Apparently, Heinlein was a stanch supporter of the Republican party and didn't think a British snob should be lecturing Americans. Think about this political bias next time you read Heinlein's "Starship Troopers". He is one of many Vatican astronomers. He thinks that the Intelligent Design theory which is being promoted to help religion, will eventually hurt religion. quote: techies already accept many abstract concepts on faith (electrons, quarks, black holes). God is just another abstract concept. Web sites are popping up all over America to cast doubt on real science. These web sites are funded by companies like oil producer ExxonMobil and tobacco companies Philip Morris and "Brown and Williamson". These web sites sometimes publish articles by actual scientists with no experience in Climatology. As is true on the web, these biased articles spread like wild-fire across the net and eventually get published by newspapers. Carbon trading won't work but carbon rationing will (if you're dumb enough to buy an SUV, then when you use up your carbon rations for the year you'll need to buy rations from someone who is behaving a little more responsively. This will shift the carbon burden away from industries who will never accept it (Oil, Airline, etc.) and place it directly on the consumer. While the man on the street searches for scientific answers in popular explanations in string theory, multi-verses and other popular voodoo, the poorly named "Standard Model of Elementary Particles" is largely ignored. And yet this theory is the crowning achievement of humanity. This book does for "the Standard Model" what Brian Greene did for "String Theory"
Historical perspective begins in the 19th century and explains where we are today and where we are heading next. Although many people are talking about string theory, it may only amount to a passing fashion: It hasn't yet been confirmed by experiment, the real test. What has? Where do we really stand? Robert Oerter shows what the next step in physics will without question be based on: The Theory of Almost Everything; the single theory that has dominated particle physics for the past 30 years. Cobbled together by many brilliant minds throughout the 20th century, and modestly known as the Standard Model of Elementary Particles, it is the most wide-ranging and precise theory in the history of physics. From the chemical reactions that power all living things to the nuclear reactions that power the sun, except for gravity, it describes all known physical interactions. Robert Oerter teaches physics at George Mason University. He received his Ph.D. from the University of Maryland. He has done research in the areas of supergravity, especially as applied to superstring theories, and in the quantum mechanics of chaotic systems. He lives in Maryland. Albert Einstein once said: 'The most incomprehensible thing about the universe is that it is comprehensible.' Simon Singh believes geniuses like Einstein are not the only people able to grasp the physics that govern the universe. We all can. As well as explaining what the Big Bang theory actually is, the book will address why cosmologists believe that it is an accurate description of the origin of the universe. It will also tell the story of the scientists who fought against the establishment idea of an eternal and unchanging universe. Simon Singh, renowned for making difficult ideas much less difficult than they first seem, is the perfect guide for this journey. Everybody has heard of the Big Bang Theory. But how many of us can actually claim to understand it? With characteristic clarity and a narrative peppered with anecdotes and personal histories of those who have struggled to understand creation, Simon Singh has written the story of the most important theory ever. Humans are awesome. Our brains are gigantic, seven times larger than they should be for the size of our bodies, use 25% of all the energy the body requires each day, and became enormous in hardly any time in evolution, leaving our cousins, the great apes, behind. So the human brain is special, right? Wrong: according to the evidence uncovered by the author, humans have developed cognitive abilities that outstrip those of all other animals because we have a brain built in the image of other primate brains that managed to gather the largest number of neurons in the cerebral cortex due to a technological innovation that allowed a larger caloric intake in less time: cooking. comments: this book explains why "dogs are twice as smart as cats" and "humans are twice as smart as gorillas". And why is it that elephant brains are three times larger than human brains, and yet human are three times smarter than elephants. my review: This book is a real "page turner" and I recommend it for all modern citizens who ever wondered "why humans are so much more intelligent than other species?" Much of my own knowledge on this subject began in 1977 when I read a book by Carl Sagan titled "The Dragons of Eden" (subtitled: Speculations on the Evolution of Human Intelligence). In chapter 1 of "The Human Advantage", the author mentions that much brain science popularized in Sagan's book (who was publishing outside his area of expertise) is now considered wrong. Error-1: the concept of the human "triune brain" (where a neocortex is layered over a paleocortex which is layered over a reptilian (limbic) brain) is now considered a complete fiction because the first mammalian brain evolved "before" the first reptilian brain. Error-2: previous books claim the human brain is composed of 100 billion neurons. But it appears that an actual experiment was never done, and the number every book quotes is just a rounded-up estimate. Error-3: the cultural meme that we only use 10% of our brains is totally wrong. In fact, we use 100% of our gray matter (our brains are composed of 10% gray matter layered over 90% white matter which acts as a mechanical substrate). CAVEAT: Everything I have just written comes from chapter 1. The remainder of the book is just as rich with new information. If you enjoyed reading general science books by Carl Sagan then you will definitely enjoy reading "The Human Advantage". Epigenetic means "on the gene," and the term refers to the recent discovery that stress in the environment can impact an individual's physiology so deeply that those biological scars are actually inherited by the next several generations. For instance, a recent study has shown that men who started smoking before puberty caused their sons to have significantly higher rates of obesity. And obesity is just the tip of the iceberg many researchers believe that epigenetics holds the key to understanding cancer, Alzheimer's, schizophrenia, autism, and diabetes. Epigenetics is the first book for general readers on this fascinating and important topic. The book is driven by stories such as the Dutch famine of World War II, Jose Canseco and steroids, the breeding of mules and hinnies, Tasmanian devils and contagious cancer, and more. What makes DNA different from hordes of competitors purporting to help readers understand genetics is that it is written by none other than James Watson, of Watson and Crick fame. He and his co-author Andrew Berry have produced a clear and easygoing history of genetics, from Mendel through genome sequencing. Watson offers readers a sense of immediacy, a behind-the scenes familiarity with some of the most exciting developments in modern science. He gleefully reports on the research juggernaut that led to current obsessions with genetic engineering and cloning. Aided by profuse illustrations and photos, Watson offers an enthusiastic account of how scientists figured out how DNA codes for the creation of proteins--the so-called "central dogma" of genetics. But as patents and corporations enter the picture, Watson reveals his concern about the incursions of business into the hallowed halls of science. After 1975, DNA was no longer solely the concern of academics trying to understand the molecular underpinnings of life. The molecule moved beyond the cloisters of white-coated scientists into a very different world populated largely by men in silk ties and sharp suits. In later chapters, Watson aims barbs at those who are concerned by genetic tinkering, calling them "alarmists" who don't understand how the experiments work. It is in these arguments that Watson may lose favor with those whose notions of science were born after Silent Spring. Nevertheless, DNA encompasses both sides of the political issues involved in genetics, and Watson is an enthusiastic proponent of debate on the subject. Who better than James Watson to lead a guided tour of DNA? When he and his English colleague, Francis Crick, discovered the double helix structure of the DNA molecule in 1953, little could they imagine that a mere 50 years later scientists would be putting the finishing touches on a map of the human genome. In this magisterial work, Watson, who won the Nobel Prize with Crick for their discovery, guides readers through the startling and rapid advances in genetic technology and what these advances will mean for our lives. Watson covers all aspects of the genome, from the layout of four simple bases on the DNA molecule through their complex construction into genes, then to the mechanisms whereby proteins produced by genes create our uniquely human characteristics-as well as the genetic mutations that can cause illnesses or inherited diseases like Duchenne muscular dystrophy and Huntington's disease. Watson may have mellowed a little over the years since he displayed his youthful brashness in The Double Helix, but he still isn't shy about taking on controversial subjects. He criticizes biotech corporations for patenting genes, making diagnostic medical procedures horribly expensive and damping further basic research. He notes that while China and other countries with large populations to feed have eagerly grasped the potential of genetically modified foodstuffs, America squandered $100 million on a recall of taco shells and the genetically modified corn used in them. He pleads passionately for the refinement and widespread use of prenatal genetic testing. Watson will probably provoke the most controversy with his criticism of scientists, corporations and government funding sources for their avoidance of important areas of research-notably the genetics of skin coloration-for political reasons. Every reader who wants to understand their own medical future will want to read this book. Another popularization of the Human Genome Project, this one has the distinction of being the first published as an anthology, and among its contributors are some leading scholars, scientists, and social critics. The three parts of the book present essays covering topics in "History, Politics, and Genetics," "Genetics, Technology, and Medicine," and "Ethics, Law, and Society." Some of the essays are quite provocative, especially editor Kevels' "Out of Eugenics: The Historical Politics of the Human Genome" (creepy to read but necessary so humanity does not repeat this mistake - NSR) , Dorothy Nelkin's "The Social Power of Genetic Information", Ruth Schwartz Conan's "Genetic Technology and Reproductive Choice", and James D. Watson's "A Personal View of the Project." Still, there is a good deal of substantive overlap among the essays and, while the discussions by experts are more sophisticated and specialized than those appearing in other books, little new information is presented for general readers. Public libraries with either Jerry Bishop and Michael Waldholz's Genome ( LJ 7/90) or Robert Shapiro's The Human Blueprint ( LJ 9/1/91) do not need this title, but academic libraries should consider it. Leroy Hood, MD, PhD, President and co-founder of the Institute for Systems Biology in Seattle, is a pioneer in systems approaches to biology and medicine. Dr. Hood's research has focused on the study of molecular immunology, biotechnology and genomics. His professional career began at Caltech, where he and his colleagues developed the DNA sequencer and synthesizer and the protein synthesizer and sequencer--four instruments that paved the way for the successful mapping of the human genome and lead to his receiving this year's prestigious Russ Prize, awarded by the Academy of Engineering. A pillar in the biotechnology field, Dr. Hood has played a role in founding more than fourteen biotechnology companies, including Amgen, Applied Biosystems, Darwin, The Accelerator and Integrated Diagnostics. He is a member of the National Academy of Sciences, the National Academy of Engineering, and the Institute of Medicine, one of only 10 people in the world to be elected to all three academies. In addition to having published more than 700 peer reviewed articles, he has coauthored textbooks in biochemistry, immunology, molecular biology and genetics, as well as a popular book on the human genome project, The Code of Codes. He is the recipient of numerous awards, including the Lasker Award, the Kyoto Prize and the Heinz Award in Technology. Dr. Hood has also received 17 honorary degrees from prestigious universities in the US and other countries. In the foreword to this expanded edition of his 1979 masterpiece, Horace Freeland Judson says, "I feared I might seem the official historian of the movement"--molecular biology, that is. If by official he means "authoritative; definitive; the standard against which all others are measured" then his fears are warranted. Detailed without being overly technical, humane without being fulsome, The Eighth Day of Creation tells of molecular biology's search for the secret of life. "The drama has everything--exploration of the unknown; low comedy and urgent seriousness; savage competition, vaulting intelligence, abrupt changes of fortune, sudden understandings; eccentric and brilliant people, men of honor and of less than honor; a heroine, perhaps wronged; and a treasure to be achieved that was unique and transcendent." And in Judson this drama found its Shakespeare. This lay history of molecular biology now contains material on some of the principal figures involved, particularly Rosalind Franklin and Erwin Chargaff. The foreword and epilogue sketch the further development of molecular biology into the era of recombinant DNA. A well researched and extensively referenced book describing how the marketing of "low fat food" by government and industry has made us all much fatter. I was shocked to learn that people in modern medicine routinely ignored the scientific method while preferring to stick with preconceived notions "knowing that the science was just around the corner" (I guess medicine really is an art rather than a science). Each of the chapters begins with a little prolog containing snippets of the scientific method which, in my opinion, is the only tool for separating the proverbial "wheat from the chaff". I was shocked to learn how persuasive personalities, like that of Ancel Keys (the "K" in K-rations), were able to negatively change the direction of the whole western world without requiring any objective science. Keys' theories seem to be based on "over analysis of limited data"
Lots of information touches on missionary records about Africa, India and China. Apparently there were no instances of diabetes, cancer, hemorrhoids, etc. until the natives started to consume a western diet. And just like smoking cigarettes, it takes approximately 18 years of abuse to make the damage permanent. Fat doesn't make you fat, carbs make you fat.